You’ve seen the jagged Maroon Bells reflected in Maroon Lake in a thousand postcards. Hike the 28-mile Four Pass Loop around the twin fourteeners, however, and you’ll see them from angles the day-hiking crowd misses out on. Starting at Maroon Lake, just ten miles south of Aspen, the trek goes southwest to Crater Lake. 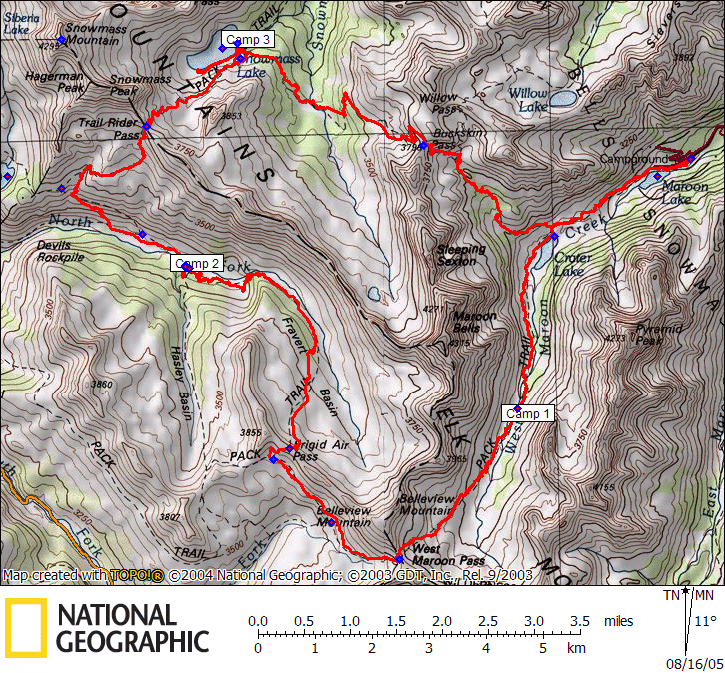 All the passes on the route are above 12,000 feet, so we will loop the Maroons clockwise. on the first day we will have time to finalize packing and hike up west Maroon trail to our first camp, an easy day for acclimatization. On day two we will hike over West Maroon pass at 12,500 ft. and Frigid air pass at 12, 384 ft. day three enjoy 40-foot-high King Falls, in Fravert Basin, before heading up the steep Trail Rider Pass 12,400 ft. Camp that night at Snowmass Lake, where you can land eager cutthroat trout. Day four when you finally get to the top of Buckskin Pass 12,462 ft. Don’t forget to soak the stunning view of Snowmass Mountain, Capitol Peak. Essentials: A great guide, ready to experience Colorado beauty enjoying mountains and wilderness. Prerequisites: Some experience at altitudes above 10,000 feet, moderate fitness. Meet in Aspen, review the gear and food. final purchase and transfer to trail head at the Maroon lake. start the hike at a gentle pace to Crater lake. Continue along the west Maroon creek to the first camp around tree line. The starting hike is pleasant along the basin then it start climbing up to Trail Rider pass at 12,400 ft. a series of switchback up and down will brings you to our last camp by Snowmass lake. 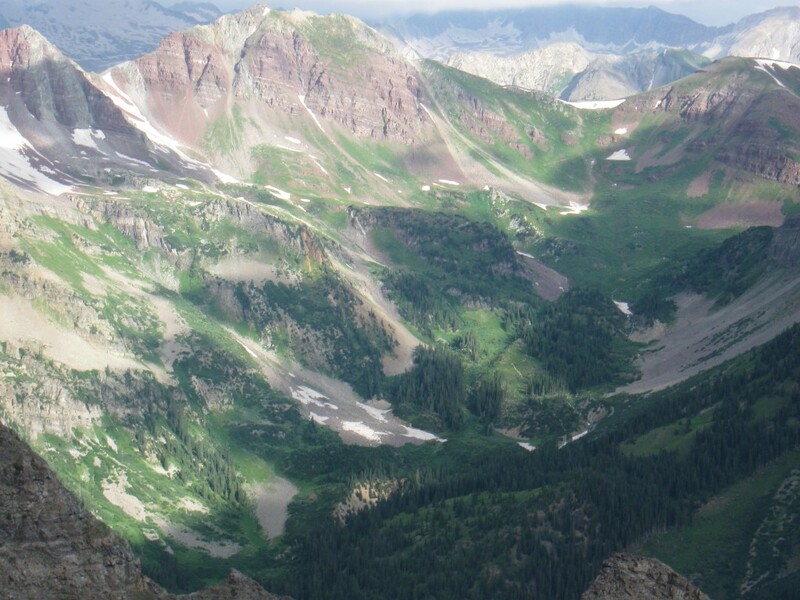 For the last day of this incredible trek you will reach Buckskin pass at 12,462 ft. with amazing views of Snowmass peak, Capitol and Pyramid peak as well as Maroon Bells. The trail switchback for a while then goes on gently to reach Crater lake and Maroon lake. Jean Pavillard / Swiss mountain guide and Adventures to the Edge are working with Aspen Alpine Guide Under special use permit by US forest service, White River National Forest.